Individual guidance and feedback provided. Books and Tarot decks will be available for use during workshop. 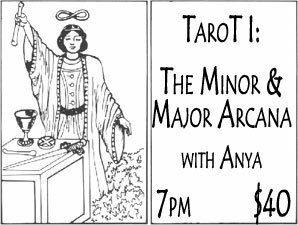 Please bring your favorite Tarot deck (if you have one), water, notepad and pen.